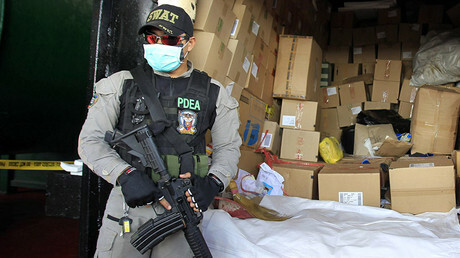 The president of the Philippines has taken his much criticized war on drugs to another level, placing a bounty on the heads of “ninja” cops protecting drug syndicates. He said they will "face a day of reckoning," announcing a US$43,000 reward on their heads. "I might be inclined to place a reward on their heads, the members of the ninja or the members of the police who are protecting the drug syndicates in this country. I am placing per head 2 million peso [$43,000]," President Rodrigo Duterte said in a National Heroes Day speech on Monday. "I want the police and the armed forces to destroy the drug apparatus in this country," he told retired and serving soldiers, government officials, and foreign diplomats. He also said that officers who are aware of unethical "ninja" cops should "squeal on your friends," Reuters reported. 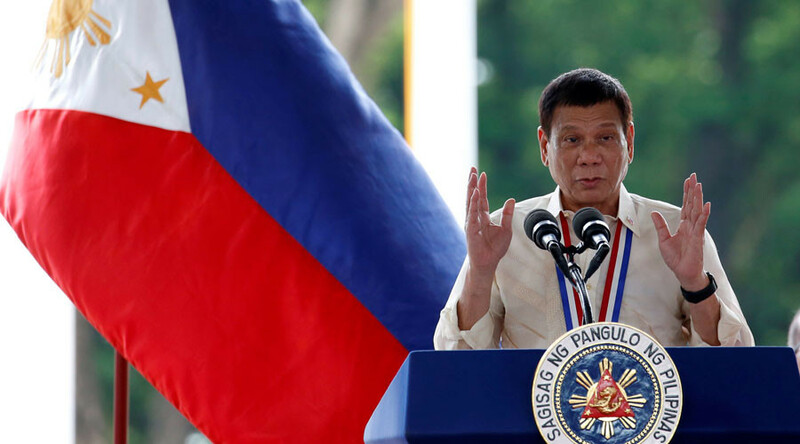 Last month, Duterte – who came to power in May on a promise to wipe out drugs and dealers – named around 160 officials, judges, police, and soldiers who he said were protecting drug traffickers or selling drugs in their neighborhoods. More than 1,900 people have so far been killed during Duterte's war on drugs, according to police figures. On Sunday, Duterte said the killing of those involved in the drug trade could be justified because the victims are not considered human. "Crime against humanity? In the first place, I’d like to be frank with you: are they humans? What is your definition of a human being?" he said, as cited by AFP. Duterte's brutal crackdown has been slammed by the UN, Human Rights Watch, and other human rights groups. Earlier this month, UN special rapporteur on summary executions Agnes Callamard urged the Philippines to halt extrajudicial executions and killings or face punishment for “illegal” acts. Duterte responded by threatening to withdraw from the "inutile" body. Meanwhile, the US – a close ally of the Philippines – said last week it is "deeply concerned," and urged the government to ensure that law enforcement officers comply with the country's "human rights obligation." But in his Monday speech, Duterte shrugged off accusations that he was violating citizens' human rights, and said that law enforcers shouldn't worry about being held criminally liable while carrying out the anti-drug campaign. "In the pursuit of law and order, pursuant to my directions, you do not have to worry about criminal liability," he said, as cited by the Philippine Star‎. "I will go to the prison for you. I take full legal responsibility, you just do it according to the books." Duterte has vowed to continue the fight against drugs until the end of his term, saying it is a problem that has infected "every nook and corner" of the country. The campaign took an especially dark turn last week, when a five-year-old girl became the youngest fatality of the crackdown.